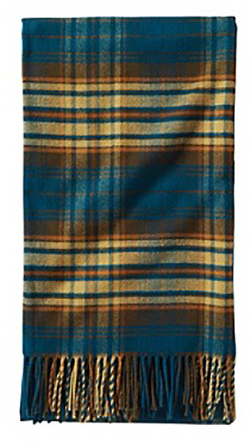 Pendleton Woolen Mills has been making blankets for the Native American trade since 1895. These blankets were greatly prized by their owners then and remain so today. 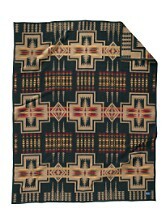 Receiving a Pendleton blanket at a give away is an honored gift. 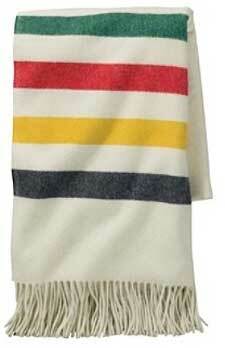 The blankets will be a wonderful addition to your home or lodge. 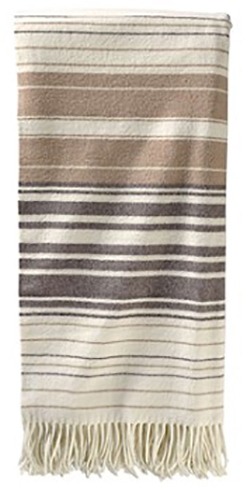 We are an authorized retailer and all the blankets listed are in stock for immediate delivery. 54" x 72" with 3" fringe. 100% merino wool. 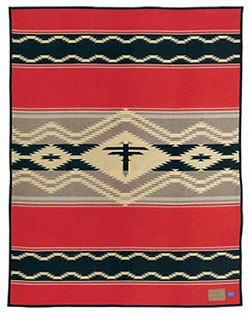 This blanket represents an ancient story often told by Senator Ben Nighthorse Campbell. In this story a Cheyenne warrior freed an eagle from the antlers of an elk. For helping to free him, the eagle gave the man a gift - a beautiful stallion covered with spots just like the eagle's feathers. 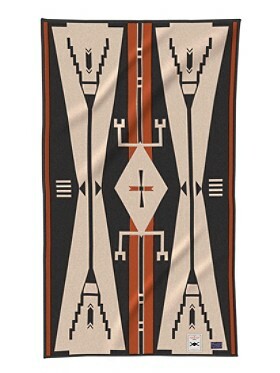 Created exclusively for the American Indian College Fund, this truly artistic blanket includes a special hangtag that tells the story of the Eagle, the Elk, and the Warrior. Photograph: Raymond Meeks. Approximately 39” x 68”. Unnapped, felt bound. 82% wool/18% cotton. Dry clean. Made in the USA. 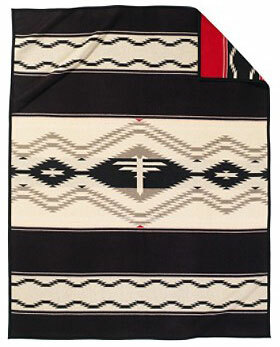 Based on an early 20th-century photograph by Edward S. Curtis, this blanket incorporates classic Navajo elements in an eye-dazzling pattern. The central dragonfly, an emblem of water, symbolizes life. Includes a special hangtag with the legend, inspiration or history behind the blanket. Created exclusively for the American Indian College Fund. Your purchase helps fund scholarships and other needs. 64” x 80”. Unnapped, felt bound. 82% wool/18% cotton. Dry clean. Made in the USA.